With its compact size and battery-powered operation, Rolands CUBE Street was a huge hit among traveling musicians. 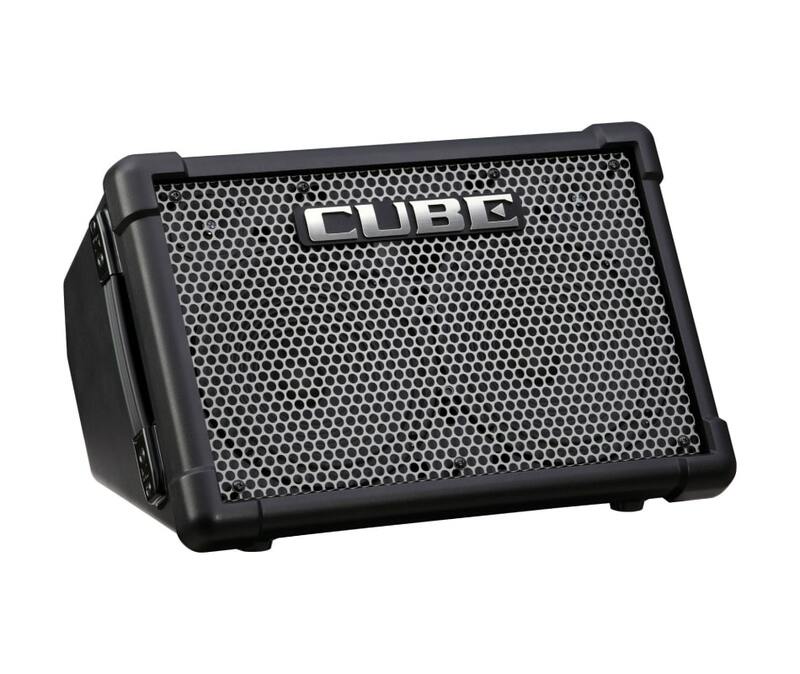 Now, the new CUBE Street EX infuses the popular mobile amp with a huge performance upgrade that delivers more projection, more channels, and more versatility. 50 big watts of power and a stereo speaker system with dual woofers and tweeters provide clean, punchy sound for larger crowds, while four independent channels offer abundant connections for a variety of mics and instruments. Detailed sound adjustment is available with separate EQ and reverb controls, and great guitar tones are dialed in easily with the onboard COSM amps. Selectable power modes provide up to 20 hours of operation with eight AA batteries, and two CUBE Street EX units can be linked together for more sound coverage if needed. And with i-CUBE LINK, you can even plug in your iPhone or iPad to play backing music and record your performances!